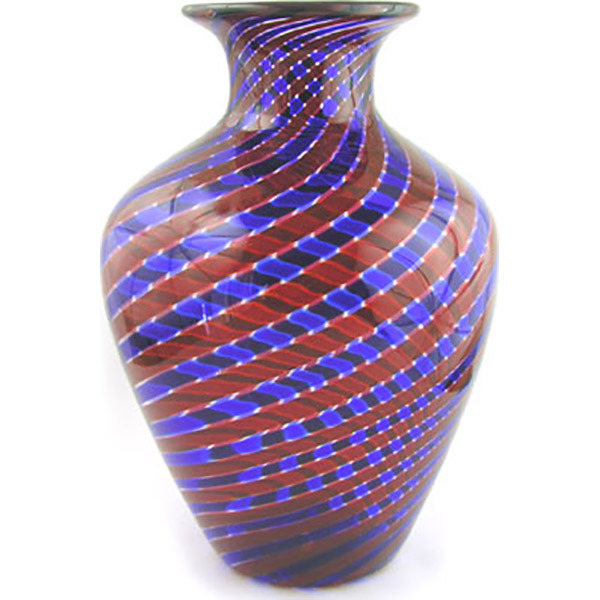 Mouth blown swirls of red and blue cane are used create this elegant Murano glass vase. The style is known as "canna" where alternating color glass canes are fused together then wrapped around the blow pipe. Even the canes are produced by the glass furnace. Crafted entirely by hand, this elegant vase stands at 11 inches tall and 7.5 inches in diameter.